Some people knew him as Henry Ogrodzinski, most people knew him as Henry O, I simply knew him as my uncle. One of my fondest memories of Henry was the time I spent an entire week in Oshkosh with him. It was the summer of 1987, as I recall, and the first time I had spent any significant time away from home. My Uncle Henry was the Director of Policy & Planning at EAA and he had invited me to spend time together during the week of the convention. My home, a mere ninety miles south, felt a world away. Looking back, it is easy to understand why. 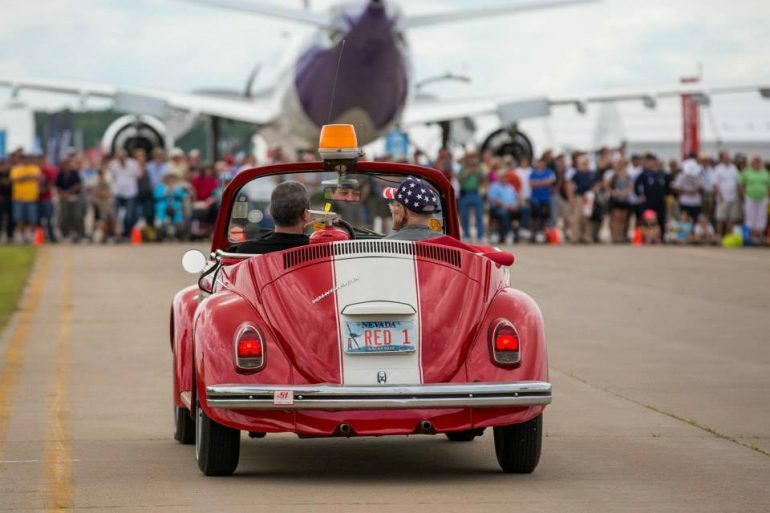 The fly-in drew a variety of enthusiasts, chapter members, dignitaries, and visitors from around the world. Every person, plane and exhibit hall represented a new adventure. I was eager, curious, inquisitive and my uncle was there to fan the flames. But he also established a sense of responsibility. You see, I had a very important role. I was there to help him work during the convention and we would be welcoming many important people. My adventure began very early in the morning as we rode down the flight line. Almost immediately I met the founder of the Experimental Aircraft Association, Mr. Paul Poberezny. He was so great with kids and his wife Audrey was always very welcoming. Although I couldn’t explain it at the time, I had a sense that everyone working at EAA felt like family. And my uncle, well it seemed like he knew everyone. Even at such a young age I recognized his mastery of public relations. We welcomed Congressmen, Senator Bob Kasten, a group from NASA, and many others. One of the most exciting experiences that summer was meeting a real astronaut, Robert Lee “Hoot” Gibson. At the time I was a huge fan of Top Gun and I though it was pretty neat to watch Hoot arrive in his T-38 training jet. Later that week my uncle and Hoot surprised me by allowing me to sit in the cockpit and try on his helmet. I felt like a real fighter pilot! Hoot and I corresponded for a few years and he continued to encourage me to keep up my grades if I wanted to join NASA. It was such a positive experience that influenced me for years. My uncle also introduced me to Zeev Sarig and his son Idan. Zeev worked as the Deputy Director at the Ben-Gurion Airport and they lived in Tel-Aviv. It was so amazing to me that I met someone from another country. Idan and I were pen-pals for awhile before losing touch. I’ve always wondered what happened to him. That summer I learned just how stylish, classy and genuine my uncle was. Even as I child I could see how well liked and loved he was. Looking back I am pretty sure my uncle played an important role in the growth of EAA and its annual conventions. I remember missing him greatly as he moved on from EAA to to Gulfstream in Savannah, Georgia. One year when he came back to Milwaukee for Christmas I remember him showing me a picture of his girlfriend Ellen – who would become his wife. I vividly recall talking to her on the phone and telling her how pretty she was. Maybe that gift of charm that Henry had was also a part of me. He then moved on to become President and CEO of the Dayton Airshow and eventually NASAO. He was always very proud of what he did and was such a champion of the organizations he worked for and aviation in general. At some point I just started to call him Henry. I remember asking him if that was OK and he didn’t seem to have a problem with it. I always thought that was pretty cool, but I do remember him warning me that I should still make use of the prefix when addressing my aunts. And as I grew older Henry was able to introduce me to even more new experiences. I’ll never forget the first time he took me to Herbie’s Acee Deucee, a famous local bar in Oshkosh where all the airshow greats would collect after a long day. It was the first time I had a drink with my uncle, as men. Walking into the bar was like a homecoming. Everyone knew him there and always the gentleman, he introduced me to each of them. The establishment is rich in character but it seemed to come to life with Henry in there. Of course he ordered a round of drinks and he didn’t sit down. Instead, he proceeded to tell a story. His stories were masterful and he loved to weave them. They always felt unique and important. Before long his colleagues and friends would be on their second drink as Henry was just getting to the best part of the story. There his drink sat, ice cubes slowly melting. He had a gift, and I’ve always wanted to tell a story as well as he could. In his final days I had the opportunity to see him one last time. Weeks earlier I had e-mailed him to ask about one of my favorite stories, that of the French 75. Some of the details have slipped my mind and I was interested in sharing the story of the cocktail with others. At the time I wasn’t even sure he had seen my e-mail. But upon seeing me he tried very hard to give me the details of the story. One of the greatest story tellers shared his last story with me. Twenty years later he passed away in his sleep on my birthday. I regret not telling him how I felt when I saw him, but I believe he knew how much I cared for him. My love for Henry is only matched by the void I feel in his absence. Although he never had children of his own, he always made me feel like a son. My love for science, technology, aviation and exploration came from him. From our days in Oshkosh to our walks at night in the streets of D.C., those memories will always be special to me. Whether it was a piece of history or his tales of being a famous French pilot, I’ll greatly miss his stories. More than anything, I miss him. Henry Ogrodzinski is survived by his wife Ellen, his sister Gloria, his brother Zenith, and by the many memories people have of him. Share your story as a comment below, or feel free to send me an e-mail. Personally, I can not think of a better way to memorialize such a gifted story teller. Thank you, and thank you to long-time EAA photographer Jim Koepnick for allowing the use of his photo. Next Did Cheerios Just Win the Super Bowl With This Tweet? Thanks for sharing your personal memories of your Uncle Henry. My wife, Peggy, and I worked with Henry beginning when he started at EAA and throughout his illustrious career. You are right… Henry did know everyone, and treated everyone with respect and kindest. He was a great man and all those who knew him, loved him. If you are planning on being at EAA AirVenture, send me an email at Dave@MidwestFlyer.com. Henry knew both of our daughters and watched them grow up, and it would be a privilege to meet his nephew and share some memories of him with you. In the weeks ahead as more of Henry’s friends connect with you, I think you will find that you have many more aunts and uncles you never knew you had before and it will be through their own unique stories that Uncle Henry will send a special message to you. Thank you so much! I think you are right, I am sure all of those stories will build an even greater story. I try to make it to AirVenture every year, and will definitely be there in 2014. It would be so wonderful to share some stories over a drink or two. 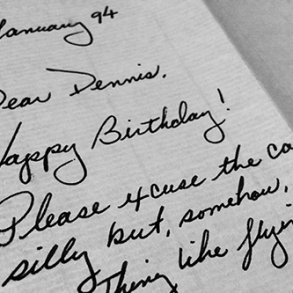 Dennis. So very sorry for your loss. What an amazing memory of a fellow aviation soul. Thank you so much for sharing. Your uncle was obviously an inspiration and a great man. Looking forward to running into you at EAA and raising a glass to your uncle. Thank you Jiri, I appreciate it! We’ll definitely have to get together at EAA this year and grab a drink at Herbie’s Acee Deucee. I so enjoyed reading the memorial you wrote about your Uncle Henry. Thank you for sharing those memories and thoughts. He was an amazing person, and I feel so blest to have known him. I had the honor of working with Henry as his secretary when he was the PR Director for EAA when the Association’s headquarters and museum were in Franklin, Wisconsin; and I still consider that job to be the best I’ve ever had. It was like a second family there, and it was hard for everyone when the decision was made to move everything to a new facility in Oshkosh. I had to smile as you recounted Henry’s ability to tell a story. He was a master at it. I learned early on to listen very carefully to his dictation before actually typing anything because he could go into a “storytelling mode” at anytime; and we just had regular electric typewriters back then – not the word processing that’s available today. I have to preface my story by describing the office area in which we worked. This was well before cubicles. All of the secretaries, typists and membership personnel were located in the open middle area of the office. The executive offices were on the outer edges – there were three that faced Forest Home Avenue and had windows that overlooked the street, which is where Henry’s office was. Then there were three more offices that overlooked the interior of the museum. All of them also had windows that allowed us to look into the offices to see if the person for whom we worked was on the phone, dictating, or if they were meeting with anyone. I don’t know if Henry’s desk habits changed any after he left EAA, but when I worked for him, his desk could only be described as organized chaos. There were papers everywhere, but Henry knew exactly where everything was. Anyway, it was a beautiful warm and breezy Spring day after a very long, snowy winter. Henry had his office door closed while doing some dictation. I was working at my desk when, out of the corner of my eye, I saw a flurry of white against the interior office window. Apparently, Henry had decided to slide open the window on the exterior wall to let in some fresh air not realizing that the stiff breeze that was blowing that day was coming from that direction. As a result, the papers that had been on his desk were now dancing in the air all over the place! The look on Henry’s face was priceless, and all of us who were at our desks were literally crying with laughter. But Henry didn’t miss a beat. After closing the window, he put on his sunglasses, opened his office door, leaned against the doorway, looked me right in the eye and said: “Seeger, bring in the blow torch!” . It took us a good half-hour at least to get everything picked-up and in some type of order so we could get back to work. That incident still makes me laugh. Dennis, your Uncle Henry was an amazing person, who was loved and admired by so many people from all walks of life. I think that’s quite a legacy of which you are a very important and vital part. Please accept my sincere condolences. I know you will always treasure your memories of Henry, and they will always be there to sustain and comfort you and your family. He was quite a gift to this world of ours.